As a school leader, I know complex concepts such as “teaching” and “best practice” can be nebulous and hard to convey. That is why I sometimes use metaphors and analogies when attempting to start a discussion with my staff about what we do as educators. 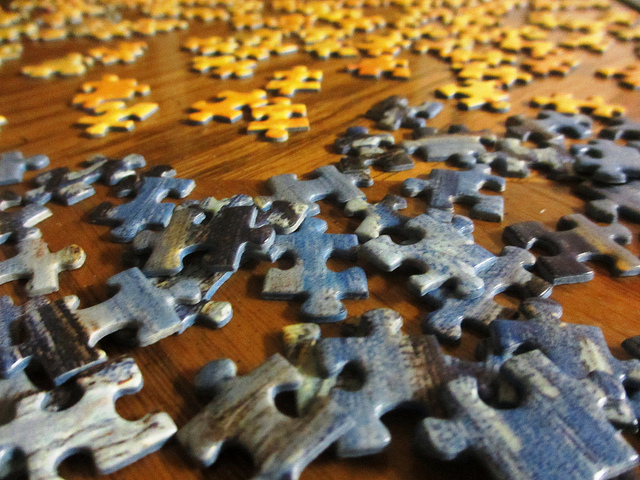 One I recently considered is how teaching is like a puzzle. There are so many pieces that go into great instruction. Classroom management, student relationships, lesson planning, assessment, standards and curriculum…how do these all fit together? The genius of a great teacher is they can see all of these pieces, but they can also see the big picture, which allows them to place all of the puzzle pieces together to create a learning environment where every student succeeds. But maybe that is where the analogy ends. Because unlike a jigsaw puzzle, too often we do not have access to what the end product should look like, through powerful professional development such as peer observations. Sometimes pieces, especially the new ones, simply don’t fit. We then have to ask ourselves: Why isn’t this practice fitting? Is it because the other pieces won’t allow for it? Should we jettison those pieces (practices) that don’t align with our new addition? Or do we question the new piece itself? One more difference is that our potential as educators is not limited to borders. Our skills can always expand. Surprisingly, this can be a challenge, when we are never sure about the limits to our learning. If we learn and expand our thinking so much that we call into question the very foundation of our practice, what do we do then? Start from scratch? I think we are best served by taking our professional learning lives one piece at a time. Take that new piece in your hand, turn it to the right and to the left, and check out both sides. Ask others who have been there, or are right there with you, what they think. Call on the collective wisdom of your personal learning network for their expertise (and remember to be there for them when they need you). Most of all, never stop puzzling over your practice.